These are some of the best colors to paint your master bedroom to create a relaxing, calm space that you’ll love retiring to at the end of the day. It’s 2018, and with these busy lives we lead, we all want a retreat to come home to at the end of the day. What better space to unwind and relax than your master bedroom, right? Personally, I want my bedroom to be a serene space free from the distractions of the outside world. And I’m guessing you do, too. If this is in fact your goal, you need to have the right paint color on your bedroom wall! 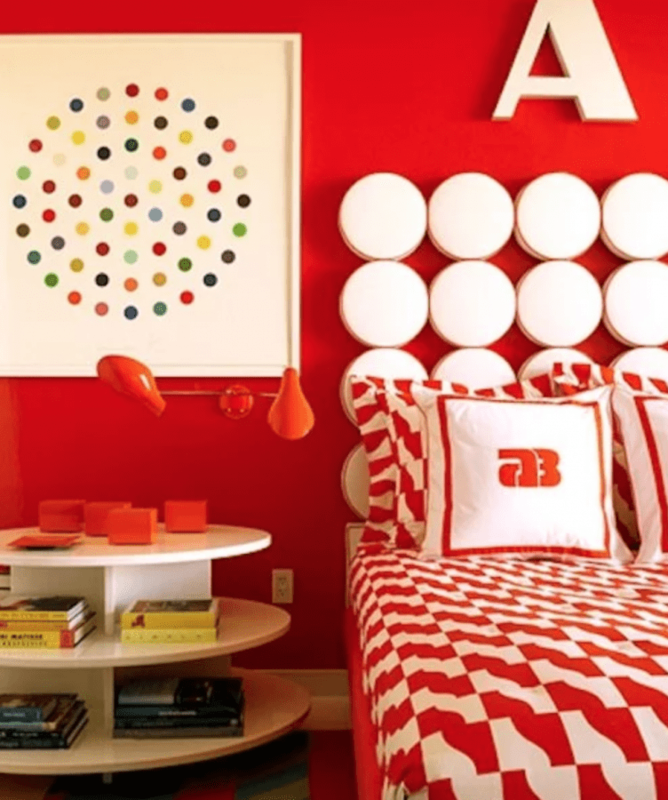 I’m all for color and personality throughout your home, and heck, if you want bright red walls then by all means go for it, but did you know that there’s actually some real color psychology behind why certain colors are better for your bedroom? If like most of us you like to sleep in your bedroom, then the paint colors you choose can have an effect on the quality of sleep you get as well as how quickly you actually fall asleep. Color psychology teaches us that the colors which surround us have differing impacts on our behavior and mood. We already have an innate sense of this. Think about the color red. What mood or feeling does it evoke? Anger, war, danger, strength, passion, desire and love. It attracts attention more than any other color. But did you know that the color red also is known to raise blood pressure? Not exactly ideal when you’re trying to get your 8 hours! On the other hand, blue is seen as a calm, serene color. It’ll be no surprise then, that blue is considered to be the best paint color for your bedroom in order to maximize your sleep potential. What other colors are considered good for sleep? Personally, if I’m picking master bedroom paint colors and I want to make my room as relaxing as possible, I would steer clear of yellow and orange and instead focus more on the different shades of blue. One of my all-time favorite paint colors for both bedrooms and bathrooms to achieve that relaxing feeling is Reflecting Pool by Behr. It’s a very pale blue-gray and it looks amazing in every room I’ve ever seen it in, especially when paired with lots of white. If I had to pick the best paint color for bedrooms, I would choose this color every single time. The next color on the same color card as Reflecting Pool is Behr Light French Gray. This is also a really nice color but the blue is a lot more evident. If you have a room with a lot of cool light (like my bedroom) just keep that in mind. So we know you want to get a good night’s sleep but maybe you also need to make your master bedroom look larger and brighter than it is. In this case, you want to avoid the darker colors like moss greens and oranges, which will only draw the walls towards you, making the room appear smaller. By keeping the walls a lighter tone of blue, gray, or even white, you’ll make the bedroom appear bigger and brighter. If you have low ceilings, a great trick for making the ceilings appear taller is the paint the ceiling and wall the same shade of white. This has the effect of continuing the color up, thus not creating a harsh line where one color ends the other starts. 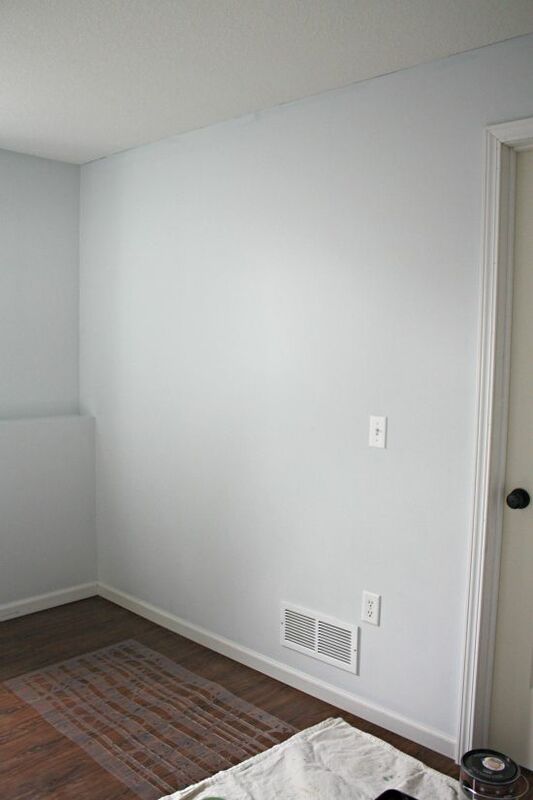 Remember the earlier photo of my master bedroom painted Behr Light French Gray? Well, that paint color was far too blue for the cold light my bedroom receives. So the space was repainted with Benjamin Moore Paper White, which is a very pale gray with just a touch of warmth. It made the room feel much bigger and brighter and far less cold. Phew! That was a lot to cover! Hopefully after reading some of the color psychology about what colors are best for painting your master bedroom, you’ll have some ideas on what direction to take. If you’re still stuck and have no clue at all as to what bedroom paint colors you should be looking at, feel free to reach out to me and I’ll do my best to help! Think I’ve missed one or more of the best master bedroom paint colors? Share them with me in the comments below! The very first picture has a really nice color in it which isn’t named. Do you know the color name? I LOVE the color in the first pic and tried to find the name of it, but can’t locate it anywhere. Would you know the name/company, by chance? I really like all these colors in general. Thanks for posting! Hello Jenna, I was thinking of painting an accent wall in my teen retreat in Chelsea grey. I would love recommendations as to which colour I should paint the hallway. The teen retreat has a large window is an open space to the hallway. Maybe Rockport Gray?